Easy does it! 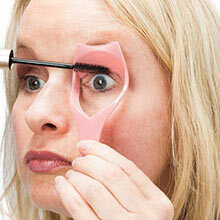 Get thick, luscious lashes in no time with this 3-in-1 miracle tool. 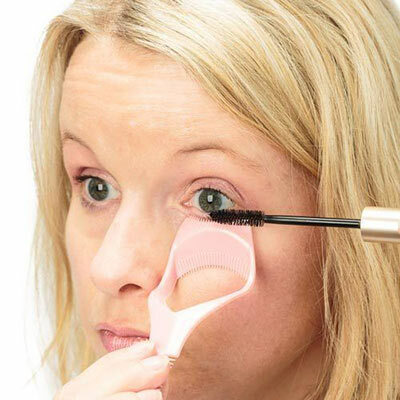 Its unique design gives you a steady hand to apply coat after coat of mascara without a smudge or mistake in sight. Can be used for top and bottom lashes for a glamorous appeal. 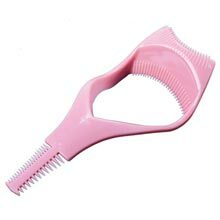 The double-ended comb prevents clumps and gives you beautifully full, yet natural-looking, lashes every time! Cleans up in a snap! Durable polycarbonate plastic. 4¼"l.